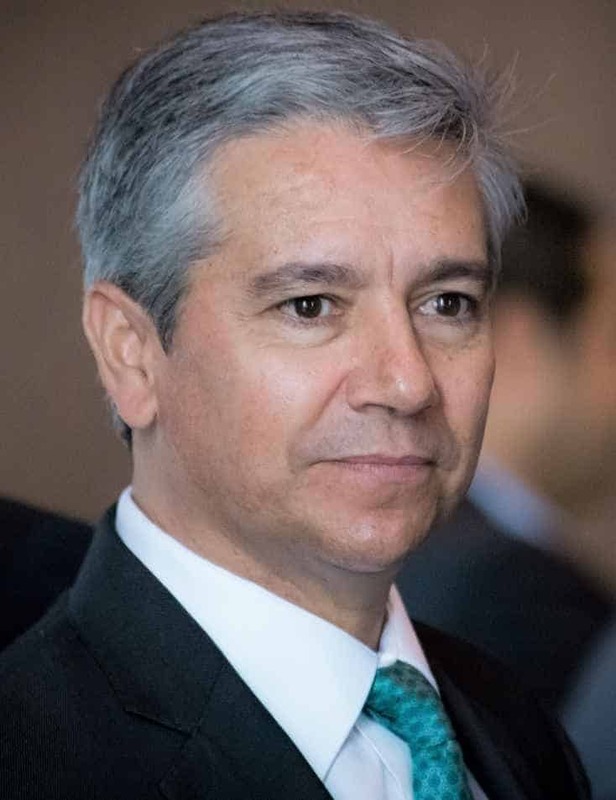 Juan Carlos Luna is a corporate lawyer, entrepreneur and consultant with ample international experience, both as external counsel and as an in-house lawyer. He founded his own international firm, Lawgistic, a consultancy for Legal Management. Through it he cofounded LAWIT Group, an epicenter that generates innovative ideas and develops technological solutions for the legal industry. Juan, who is an alumn of the Lawyers Management Program, previously worked at HP as Director of Legal Projects, transforming the company’s legal infrastructure with the goal of establishing an organization that was more efficient and focused on generating value. “During more than twelve years at HP, I had the opportunity to lead teams of lawyers both at the regional level in Latin America, and in a global project to structure the company’s legal operations. This allowed me to interact with various new legal support models, which were experiencing their first successes and offered answers and solutions to the challenges that the company was looking for from an efficiency standpoint,” says Juan, an active IE Law School alum. Tell us about your company, Lawgistic. Lawgistic was created to respond to the new demands of legal services, and to become a model of legal efficiency. It originated precisely because of the obvious changes that were happening in legal practice. This was made clear around ten years ago, when new models for offices started to emerge, and new legal management businesses, which had a significant competitive advantage over traditional models. From there the idea was born to found Lawgistic as a legal consultancy firm, focused on both sides of the coin: providing legal services efficiently and offering corporate legal management consulting. We focused on what we saw as the best of both worlds; in summary, on offering a model that would respond to the new demands of clients as well as offering more efficient and agile legal support—all while guaranteeing high quality, reduced costs and better risk management. That was how we embraced the opportunity to bring this type of firm (within the framework of what is now called an Alternative Legal Service Provider) to the United States and Latin America. What were your first steps in the world of legal tech? The first actions I had the opportunity to implement were plans for Legal Project Management, Legal Process Outsourcing and others regarding the implementation of control systems, using various schemes to achieve greater efficiency in the operational management of companies’ legal departments. What challenges do in-house legal departments face? The challenge is being able to respond with the same agility, transparency, metrics and business sense that the other areas of business support do. Business law professionals will have to fight to modernize themselves by modeling their operations on the best practices and the best tools for operation, management and administration, with a comprehensive business vision. Are these the same challenges that law firms face? They’re not the same challenges. Since their business models are different, their priorities, metrics, compensation schemes and pressure from competitors vary greatly. They are two worlds, which have been separated in a way, but for the last ten years they’ve had to react in order to interact with different rules. That moment was an important turning point that shifted the balance of power; not by choice, but by necessity and economic pressure. It was a very significant breaking point, at which the clients started to take over the relationship and the conditions under which it would continue. The firms will have to make a great effort to transform adopting new operation models, and adopting technological support schemes that make them more efficient. How can business law professionals benefit from innovation and technology? They can obtain very significant benefits. I would separate them into two big chunks. The first is very personal: the unquestionable benefits of extending their careers in the legal profession, allowing them to avoid being overshadowed by the competition. The second is institutional: they can strengthen legal organizations so that they stop being reactive and classified exclusively as cost centers and bottlenecks, and instead become organizations that are innovative, effective and efficient at what they do, which generate business value. What tools and abilities do you believe are essential for future lawyers? Knowledge of cross-disciplinary subjects that intersect with purely legal ones… and here, without a doubt, is where subjects like Project Management come in as a cornerstone, and where one can develop other operational, administrative and technological tools. What advice do you have for lawyers who want to innovate and take the digital leap in the sector? One good piece of advice is to be very alert and open-minded so that you can identify any aspect of your professional activity that could be improved, if innovative tools are used in management and technological solutions. The legal tech sector has already gotten started and taken some very important steps. In these matters it’s not a question of when these changes will arrive, but rather how’re we reacting to their imminent effects. There are many very valuable examples that will have to be analyzed to evaluate their implementation, with which we can start to take small actions that will help us move toward a sustainable transformation, which guarantees better practices with well-chosen tools and a business plan to sustain them. But it’s not simple; without planning that includes a good base of knowledge about what’s happening with current trends that have already been accepted to some extent in other countries and regions, without a good analysis of priorities or the willingess to let experts help you facilitate their implementation, badly structured attempts are not only frustrating but very costly. Transform themselves… accepting that their level of competence is fundamentally based not only on their capacity, experience and knowledge of the specific legal matters of their specialty, but also on the way, and through what mechanisms, these aspects translate into agile, efficient, modern and cost competitive services.